Project Introduction: We're building a Subaru to challenge the current land speed record. No matter what language you speak there is one word synonymous with pure unadulterated speed, and that word is Bonneville. The historic Bonneville Speedway, located in Utah's West Desert, home to the fastest cars on the planet and holy ground to speed worshipers around the world. The stark landscape is a lasting monument to the racers that have given their lives here in the pursuit of maximum velocity! Driving on Bonneville's salt crust has been described as being similar to driving on snow, with little to no traction to be had. In the blink of an eye the unpredictable conditions, dangerous crosswinds, and triple-digit speeds can end your day, your driving career, or even your life. The hazards are well known, yet racers from around the globe make the pilgrimage to the Salt Flats every year. Like all those who came before us, the reward outweighs the risk. We are going for the experience of building a land speed car. We are going for a new world record. We are going for the speed. And what would be better to take on such adventure other than a Subaru? With our passion for the GC chassis, its timeless lines, and our tight budget made our choice of cars an easy one. This will be our rocket ship, and with only 6 months to get this done it’s time we get project started. The Southern California Timing Association is the official top speed sanctioning organization. And we are competing in their Production Supercharged class. The main focus of this classes is for cars with unmodified bodies, competing as they were delivered to dealerships. The exterior must be complete, 100% stock, and specific to a particular model. 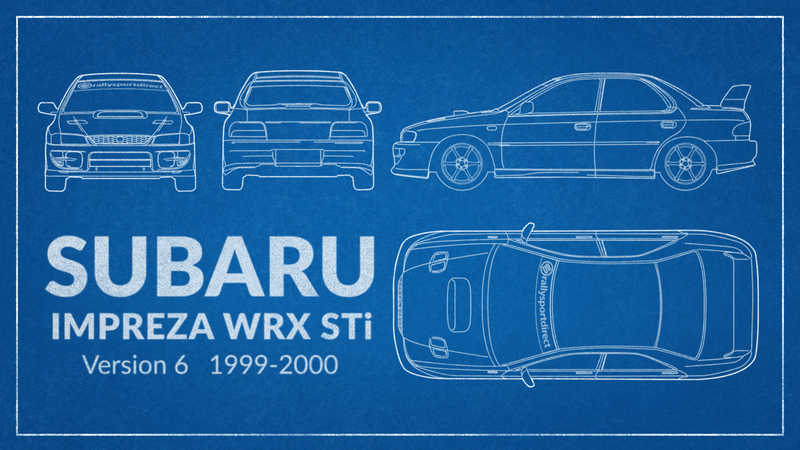 This gave us only one real choice of what year and model to base our build, a Version 6 STI. 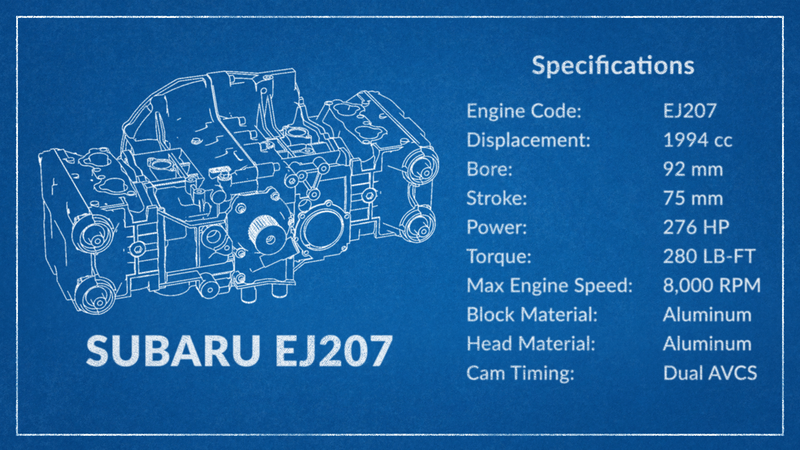 And since the that STi came with legendary EJ207 it means we can use any EJ engine Subaru has ever made as the foundation of our car's powertrain. Before you write this project off as just another generic Subaru build, think again. You need to understand, we generally think a little outside the box. So much so that to make this a more interesting, we are competition in the Production Supercharged 1-liter class. This means our engine can have a displacement no greater 1000cc. What really pointed us down this path were our good friends at MotoIQ. They wanted to race at Bonneville, and that’s exactly what they did. They started with an S13 240SX, destroked an SR20DET down to 1.5 liters and skillfully mated it to a high flowing SR20VET head and slapped on a BIG turbocharger. Powered by the mutated little engine, their Nissan blew past the previous top speed for a Production Supercharged 1.5-liter and set a new world record for that class of 184.124 mph. It is an impressive figure considering it was made in a car with an engine smaller than some motorcycles. Now, you are probably thinking to yourself that getting a 2 liter engine down to 1.5 liter would not be easy, yet it is obviously doable. But to get a production 2 liters engine down to 1 liter would be almost impossible. Well, remember that box we like to think outside of? That box is where we are putting the pistons and connecting rods from our EJ20's number 3 & 4 cylinders. There you go, half of 2 liters is 1 liter. Sure there is more to it than just that, other random parts need to be removed, replaced, and redesigned with various holes needing to be plug. But you get the general idea. People have and will tell us this just won't work, but we have science on our side. Due to the inherent design of the boxer engine it allows 6, 4 or even 2 cylinder versions to all operate perfectly. Karl Benz developed the first boxer engine in 1897. It had 2 cylinders, and just like modern 2 cylinder boxers, the design has remained functional for over 100 years later. Other than running on only 2 cylinders, our engine should be a fairly straight forward EJ20 build with an optimistic goal 300 WHP. Now the question is how? We will need custom intake and exhaust manifolds, closed deck block with fire rings to help survive large boost, and then everything that consists of the regular high-power engine builds we’re used to. We know this is a very ambitious endeavor, but coming from the guys that got a Twincharged WRX to run and get tuned, we are confident our plan will succeed. The clock is ticking, Speed Week starts August 10th, 2019 at Bonneville Speedway. We are going to keep everyone updated on our progress, subscribe to us on Youtube, like us on Instagram, Facebook, and Twitter.